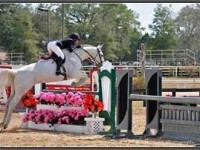 The HITS Horse show circuit comes to the Horse Capital of the World, Ocala, every Winter. The increase participation has meant an increase in needs for housing. The rentals are almost non existent any more, so many have turned to purchasing a home or farm to accommodate their needs during this time. It has proven to be beneficial to many in the long run. If you are looking for propertyfor sale close to HITS, let us help you. We are not associated with the HITS organization. Our focus is on our client’s needs. If you have a home or farm to sell, we offer the most reasonable contracts and commissions in the area. If you are looking to purchase, we have a team of agents and professionals ready to answer all your questions. Jennifer Hunter, is the managing broker and grew up in Ocala. She knows the area very well! Please give us a shout and we will send you an up to date list of ALL homes and Farms that match your criteria. We do not focus on only our listings. Our clients needs come above all else. If you want to sell your property, Jennifer will come out personally and discuss the most recent sales and give pointers on how to get the most for your property. We hire a professional photographer with drone capabilities and even 3-D shots. We produce full color customer brochures to present to prospective clients. We create personalized webpages for each property including lifestyle videos to make your property stand out above all others! Don’t throw money away renting any longer. Don’t keep that property on the books of you are no longer in the area. Let’s us help you sell or find your home or farm!